With a Xyron Create-a-Sticker tool, anything you can imagine can become a sticker. You can create appliques for scrapbooks, embellishments for stationary or whimsical decorations for parties. Use a Xyron to create unique address lables for wedding invitations. It's a fantastic way to give your projects a sophisticated look easily and inexpensively.The Xyron Create-a-Sticker comes in three models. 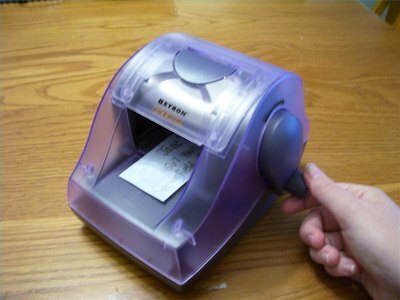 The 1.5" sticker maker retails for about $10.99, the 2.5" sticker maker retails for about $22.99 and the 5" sticker maker retails for about $32.99. 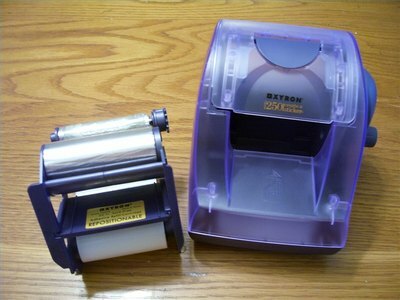 They can be ordered from Xyron.com or purchased at any crafts store in the scrapbooking department. Load the adhesive. Each brand new Xyron comes with an adhesive cartridge. In case you're borrowing one or you just plain forgot how to install it, it's simple. On the Xyron 250, all you do is lift the top cover and snap the cartridge in with the larger side of the roll facing you. Snap the lid back down and you're ready to go. Place the sticker. Design your sticker on any type of paper you'd like. With the abundance of vibrant and unique papers in the scrapbooking departments you're bound to fall in love with some great designs. 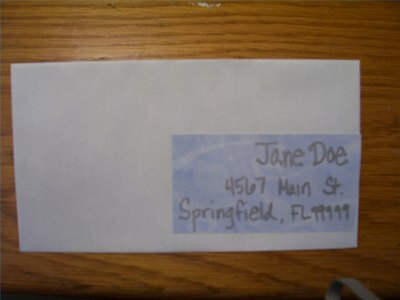 Here is a piece of scrapbooking paper cut down to make a mailing label. 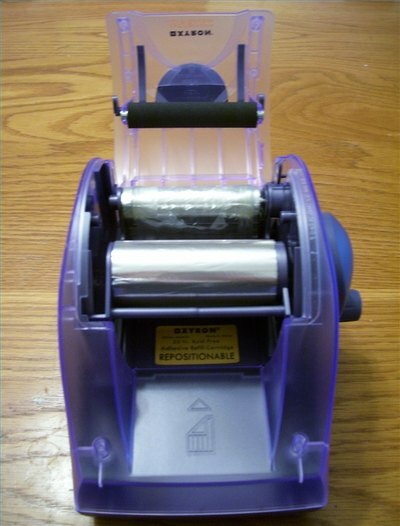 Place the paper design side up in the front end of the Xyron. Feed the sticker through. All it takes now is a couple of cranks of the arm on the side and voila! Your sticker pops out the other end. What was once just a piece of paper is now a sharp looking sticker. Don't worry if your paper design doesn't feed through the Xyron perfectly straight, it will be fine when you remove it from the adhesive backing. A serrated edge allows you to tear the sticker off cleanly and with ease. Peel your sticker off its backing and stick it. 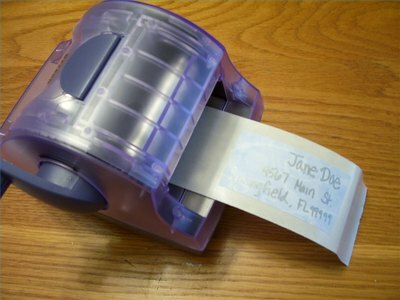 Here is a picture of the mailing label easily created. It couldn't be any easier.